As the weather cools and leaves begin to change color, more and more crops are ready for harvest. 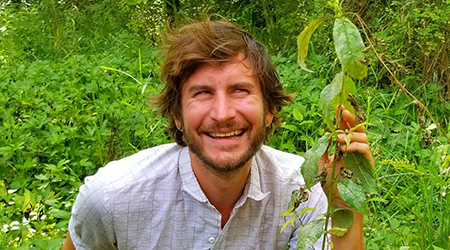 This week at College of DuPage participatory ecologist Michael Swierz visited with students and community members to discuss a growing interest in foraging. That’s the practice of searching for and collecting wild food resources. First Light host Brian O’Keefe met with Michael Swierz on the edge of the Russell Kirt Prairie, a prairie restoration project in the center of the Glen Ellyn campus.